Please fill in your btc address and click the ROLL button to get your free bitcoins. The amount of free bitcoins that you get will depend on the number that you roll and paid out according to the payout table below. 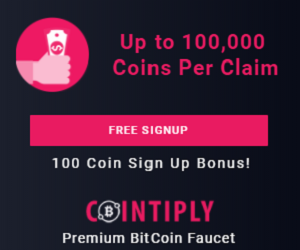 You can come back and play every 1 minutes to win free bitcoins each time! Proxies and VPNs are not allowed! Share this link with your friends to earn 15% commission.